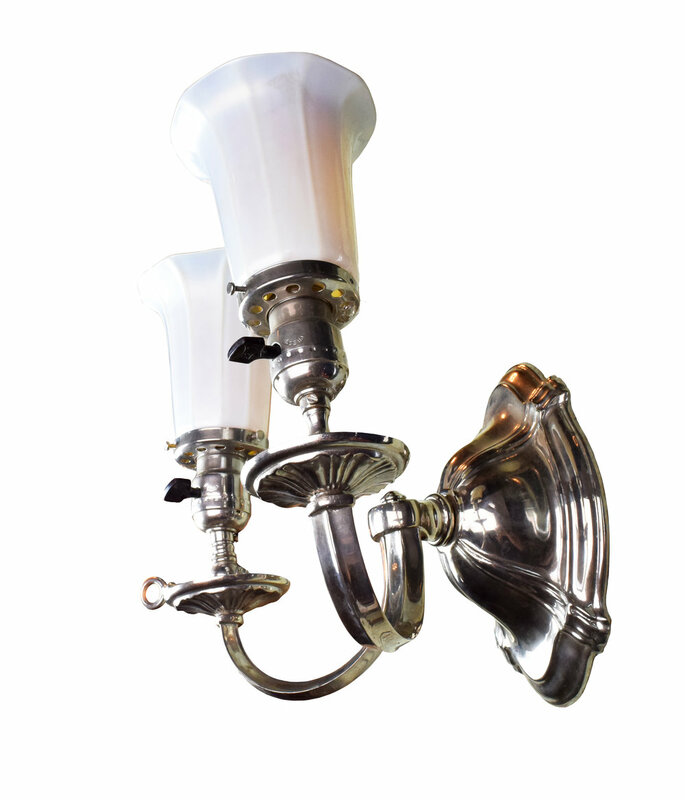 This silver over bronze, simplified Sheffield 2-candle sconce has a beautiful shiny silver finish and a simple, elegant overall design, pictured here with gorgeous Steuben gold and calcite ribbed shades that fit perfectly with the sconces. The shades can be found here. 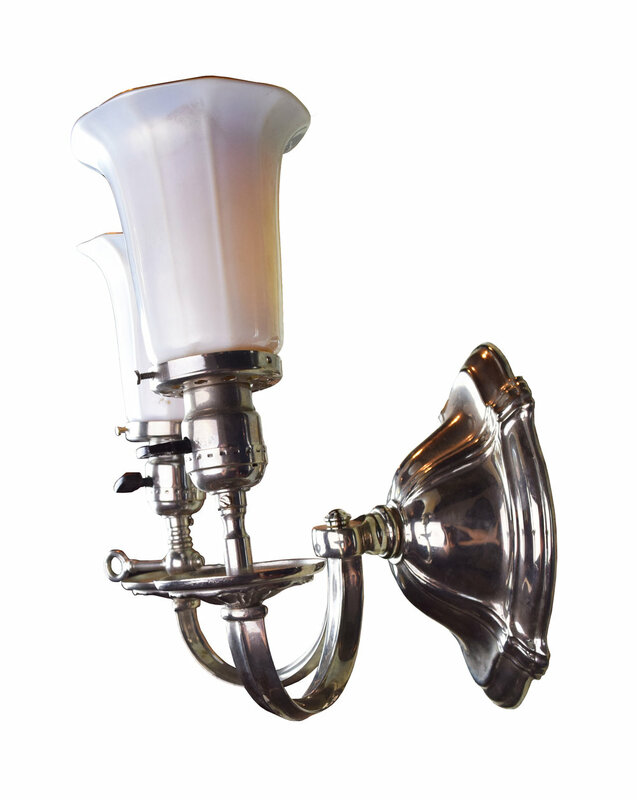 *Please note that the above price is for one sconce without shades.